China on Thursday successfully landed a spacecraft on the far side of the moon, becoming the first in history to touch the lunar surface unseen from Earth, according to media reports.The Chang’e-4 lunar probe, named after the mythical Moon Goddess, landed at 10:26 am Beijing time. The China National Space Administration (CNSA) landed the robotic probe — Change's 4 — in the unexplored South Pole-Aitken basin, which is the largest, oldest and deepest crater on the moon's surface. The probe entered an elliptical path around the moon last weekend, drawing up to 15-kilometre close from the surface. 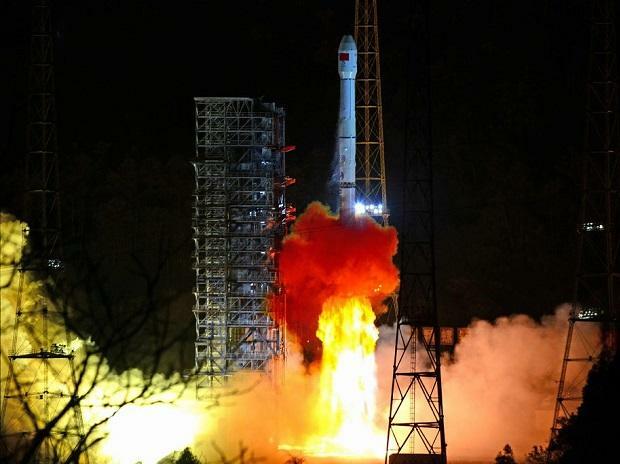 The Change's-4 was launched from Xichang, southwestern China, on December 8. The probe reached the final orbit around the moon after 22 days and transmitted the first-ever "close range" image of the dark side of the moon. Landing on the unexplored region will enable Chang’e-4’s rover to better study the moon because of the lack of electromagnetic interference from Earth. The rover is equipped with a low-frequency radio spectrometer to help scientists understand “how the earliest stars were ignited and how our cosmos emerged from darkness after the Big Bang,” according to China’s official Xinhua News Agency. Scientists will test whether plants can grow while on the moon, it said. The mission is one in a series that underscore the country's ambitious plan to join the space race. Followed by the United States and Russia, China is only the third country to send its own astronauts into space on its own rockets. The moon is tidally locked to Earth, rotating at the same rate that it orbits our planet, so the far side - or the "dark side" - is never visible from Earth. Previous spacecraft have seen the far side of the moon but none has landed on it. The landing "lifted the mysterious veil" from the far side of the moon, and "opened a new chapter in human lunar exploration", reported Global Times. The mission aims to take detailed measurements of the moon's terrain and mineral composition. China now plans to begin fully operating its third space station by 2022. It not only plans to send probes to Mars but also retrieve samples of the Martian surface. The feat caps a series of lunar missions China has launched over the past few years as part of its plan to become one of the world’s top three aerospace powers by 2030. The nation’s space budget is about $8 billion a year, second only to the US. The moon landing comes at a time when tensions between the two powers are at an all-time high, with their economic, technological and military rivalry deepening amid China’s quest for dominance.